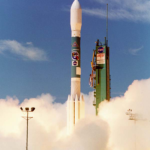 In the long and winding history of the Landsat Program, April 15, 1999 was an important day. Remote sensing scientists now can access a decades-long Landsat look at how specific conditions have played out on every applicable 30-meter pixel of the American landscape. 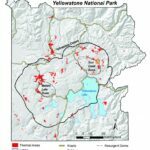 Over the last 20 years, new thermal area has developed in Yellowstone. Landsat 8 is on the case. It started as an algorithm to detect clouds in satellite imagery, but now the software is being used for everything from increasing food security in the developing world to guiding futures trading on Wall Street. 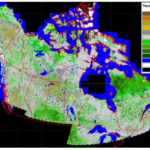 The Arctic-Boreal Vulnerability Experiment (ABoVE) field campaign has released data of the summer NDVI trend and trend significance for 1984 to 2012 over Alaska and Canada. 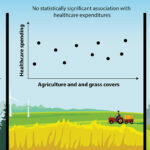 Each 1 percent of a county’s land that was covered in forest was associated with an average Medicare expenditure savings of $4.32 per person per year. 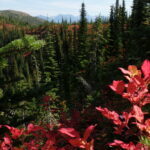 Remarkably little is known about the subsurface connections between the thousands of lakes scattered across ecoregions like Yukon Flats; this study sheds light on those lakes. A Landsat-based approach to map huckleberry distribution across Glacier National Park could one day provide warnings of potential human-bear conflict areas. NASA ARSET is putting on an advanced webinar focused on time series image analysis. Choose a date from the drop-down menu below to view the archive.